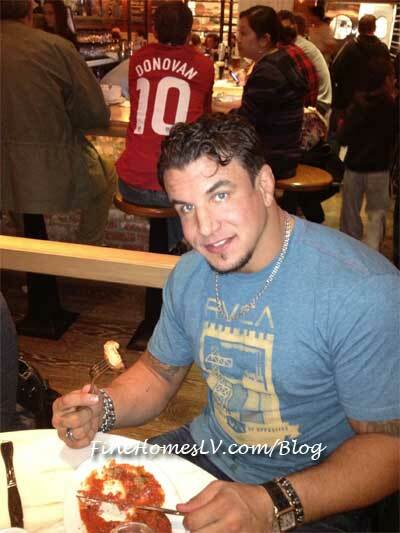 UFC Heavyweight Champion Frank Mir, former welterweight champion Zab Judah and actress Joan Severance all dined at the new Meatball Spot (www.meatballspot.com) at Town Square last night. 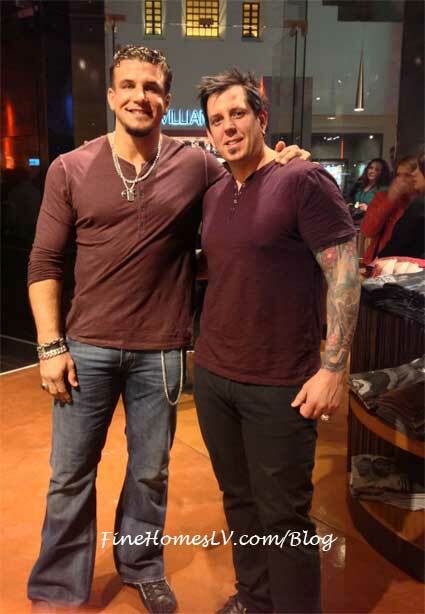 Famed fighter Frank Mir held court at his official after-fight party at Gallery Nightclub (www.gallerylv.com) at Planet Hollywood Resort & Casino last night. 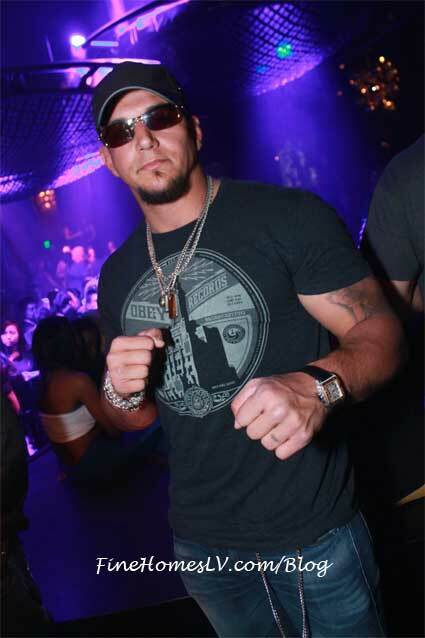 Fist pump “Jersey Shore” star Vinny Guadagnino brought his Jersey-party mentality to Chateau Nightclub & Gardens at Paris Las Vegas last night. Sporting his newest signature, a fauxhawk haircut, Jersey Shore’s “nice guy” walked the party-spot’s red carpet dressed casually in a hooded sweatshirt and jeans as adoring fans yelled for him to sign autographs.